A Very Bunky Holiday: December 13th! Come shop, gift, and be merry! There will be hot spiced cider and cookies provided by Giant Coffee, a pop-up ornament making and gift station by Practical Art, and the Overthrow Clothing mobile shop will be parked out front! Plus, enjoy 15% off your Bunky Boutique purchase. 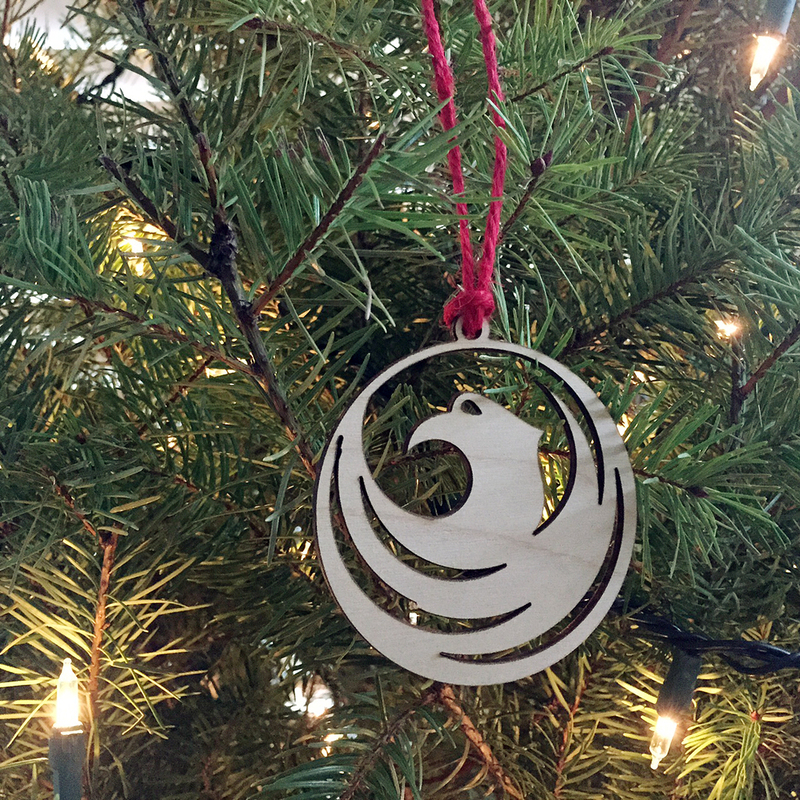 Practical Art will have a pop-up shop featuring local wood burning artist Alexandra Bowers, who will be adding custom engraving to customize your holiday ornaments! Holiday ornaments will be available for purchase for $10 with the option to add custom engraving for $5. 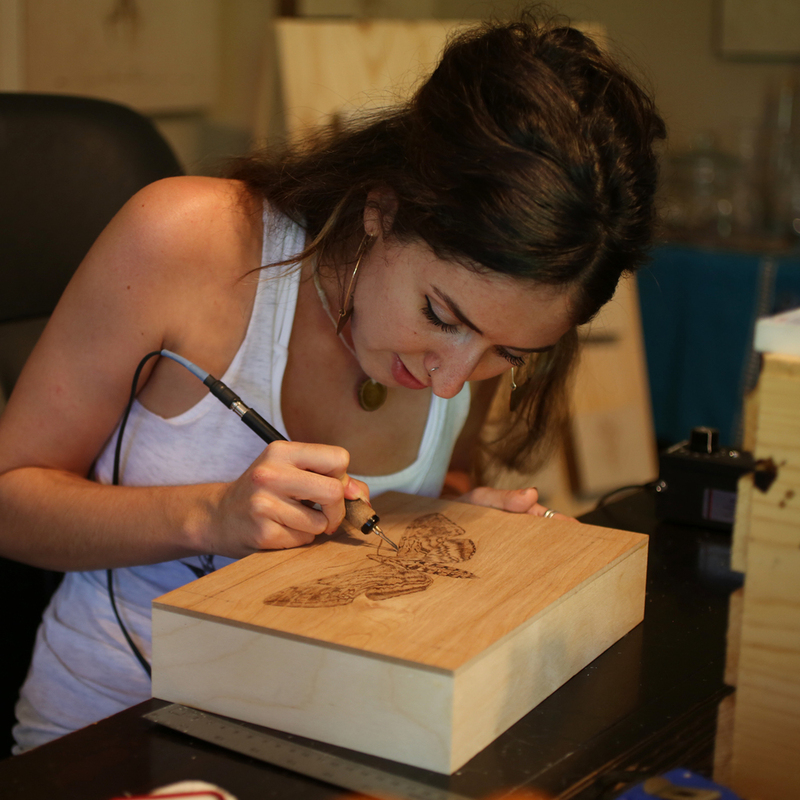 Also available at the pop-up shop will be Alexandra's wood burned coasters and wall art, inspired by our native Arizona plants and wildlife, along with other fun holiday gift options! 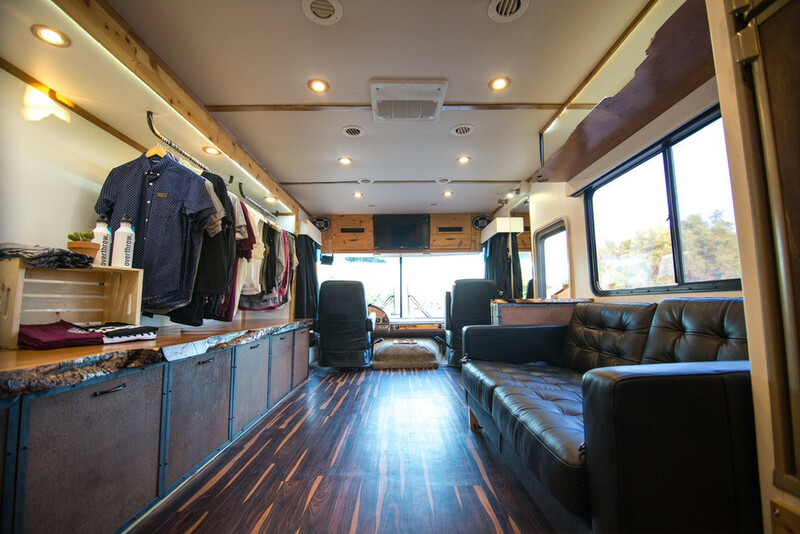 Inside local apparel brand Overthrow Clothing's mobile retail space. Board the Overthrow Clothing mobile retail space and stock up on gifts for him from this Phoenix-based apparel brand. Shop knits, graphic tees, outerwear and accessories. Or just take a seat and sip on your spiced apple cider!